I am depressed. Again. And if I'm being honest, I have been for quite some time. That said, it is easy for me to write these words. It feels comfortable, natural. Like I am having a conversation with myself. But to say these words — to look another human being in the eye and admit that I am not OK — is hard. Scratch that. It is nearly impossible. I clam up. I lock up. A lump forms in my throat. Of course, I am not worried about being judged. The people I would confide in support me. They know about my struggles and my many mental illnesses. But unconsciously, I judge me. I feel stupid and pathetic. In my head, I hear echoes of failure: "You are hopeless. You are helpless. You are weak. No one cares." Plus, I don't know what to say. I am sad, but there is no reason. I feel empty and numb, but I cannot tell you what that means or why. Of course, I know these thoughts are reflections of my illness. They are the voices of my sickness and nothing more, but when you are deep in the throes of a depressive episode, reasoning and logic go out the window. Depression does strange things to your body and your mind. It makes you believe you are not good enough or smart enough. It makes you believe you are not strong enough, and the negativity consumes you. You feel trapped and alone. And in those moments, those dark, desperate and desolate moments, all the promises I've made — to my therapists, to my physiatrists, to my husband and even to my friends — fall to the wayside. I close the windows, turn off the lights and shut my bedroom door. That said, I am not alone. In the depths of depression, many people fight these feelings. They have these exact same thoughts, and that is why so many of us struggle in silence. Depression isolates us. It makes us feel like we are "crazy" and completely alone. It doesn't make any sense to actively avoid help. If I broke my arm, I would go to the ER. If I got sick, I would go to the doctor or at the very least take my medication. But mental illness isn't like that. Guilt wracks you. Fear consumes you, and you blame yourself. Make no mistake. I know some people want to get help but can't due to a lack of funds, a lack of insurance or the sheer absence of doctors in their area. (No matter where you live, good mental health professionals are hard to come by.) But there are countless others who, like me, wallow in our sadness because our words simply cannot find a way out. Because depression — and mental illness — lies. And because the shame and guilt can be crippling. You don't want to burden others or bother others, and as such, you don't ask for help. Does that make sense? No. Trust me. I understand how it sounds, especially in this day and age when #MentalHealthMatters has come into the spotlight. 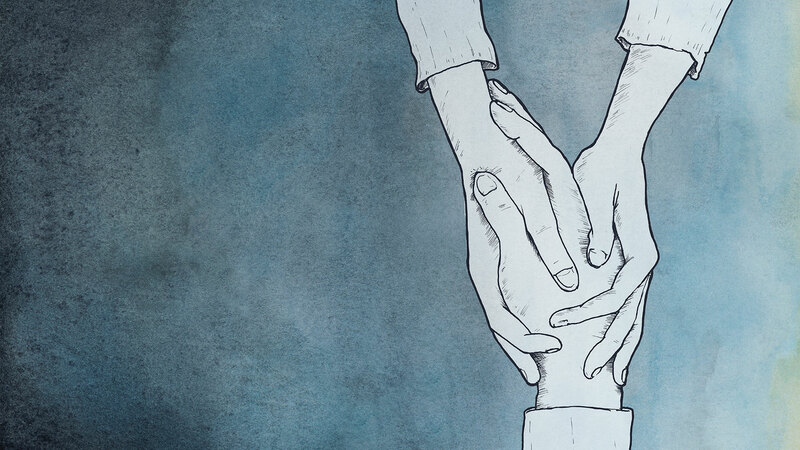 When well-meaning mantras like, "It's OK to not be OK," and "Don't be afraid to ask for help," have been repeated by many, including mental health advocates, allies and friends. But when you are drowning in darkness, when everything is hard and heavy, this is not the advice you want to hear (or need to hear) because nothing about not being OK feels OK. There is no easy way to ask for help. So, what do you do? What can you do? Well, if I'm being honest, I don't know. I was first diagnosed with depression 19 years ago, and I still don't know. But I've made progress. I have an accountability buddy, a friend and fellow mental health patient, who I text on good days and bad days — in other words, every day. And while we can't fix each other, we do relate and commiserate. I can say, "I'm broken," or "I'm exhausted," and he gets it. He understands. Of course, I'd be lying if I said I was (and am) always transparent. Many days, I've said, "I'm OK," when I'm not, but I'm trying, and that is something. That is a start. And today, because of those texts, I picked up the phone and made a call to my psychiatrist — the one person who I allow to "get me" and care. Did I have to bottom out before I got to this moment? Yes. This week, I cried at work and while watching cartoons and on the bus. But I made the call. Somehow. And I hope you can too. If you or someone you know is having suicidal thoughts, please call the National Suicide Prevention Lifeline at 1-800-273-8255, visit SuicidePreventionLifeline.org, or text “START” to 741-741 to immediately speak to a trained counselor at Crisis Text Line.